Found 9 blog entries for March 2015. Why Is Your Edmonton Home Stuck On The Market? Tuesday, March 31st, 2015 at 7:35am. Seriously, why? What are you doing wrong, or more importantly, what is your agent doing wrong? These are million dollar questions that we’d like to answer this Tuesday. We’ll point out one by one the possible problems and discuss its solutions. Before anything else, don’t forget to visit our new and improved Edmonton MLS listings to access the newest homes for sale in Edmonton. Sunday, March 29th, 2015 at 7:59am. This is specially important now that spring is upon us. 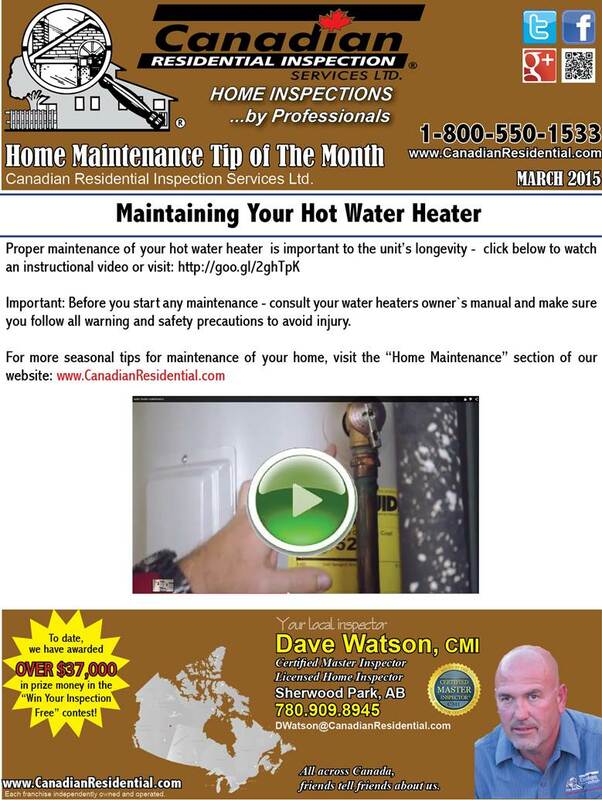 Its the start of a great season to double check all home maintenance hardware. Lastly, remember to check out our new and improved Edmonton MLS listings to access all the available Edmonton homes for sale on the market. Wednesday, March 25th, 2015 at 10:15am. So, you’re finally thinking of owning that dream Edmonton home? Great for you! In today’s article, we’ll discuss that things you need to prepare for if you and you’re spouse are planning to get a mortgage loan. First and foremost, now is the best time to get a mortgage since Edmonton and the rest of the Alberta region is experiencing a low interest rate environment. 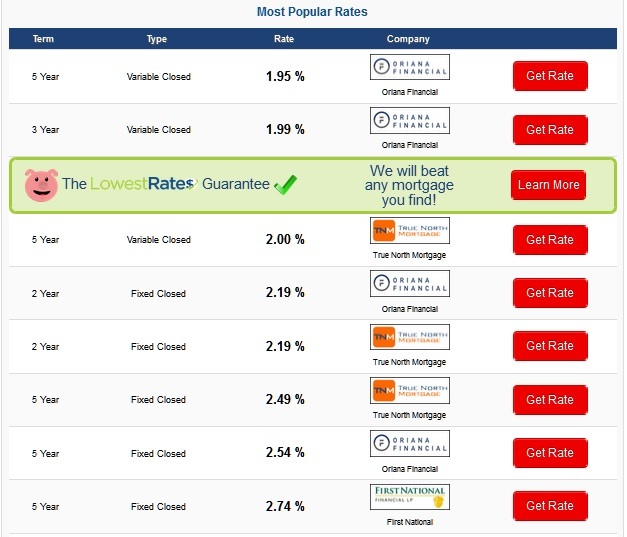 We did a quick look at the prevailing interest rates today in Alberta, check out the screenshots below. 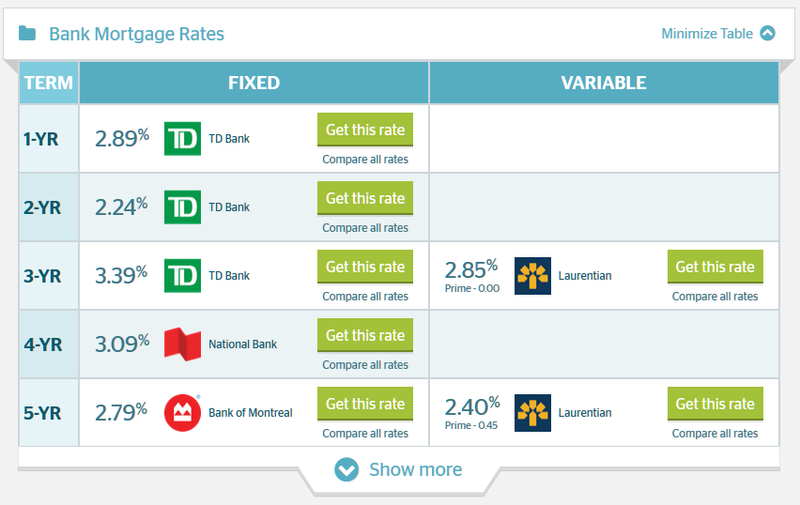 There are tons of banks and mortgage brokers competing to provide the best rate so it’s up to you to make that wise, informed decision. Edmonton Home Seller Reality Check: It’s Spring Time! If You’re Selling Get-Your Home Inspected. Saturday, March 21st, 2015 at 11:06am. 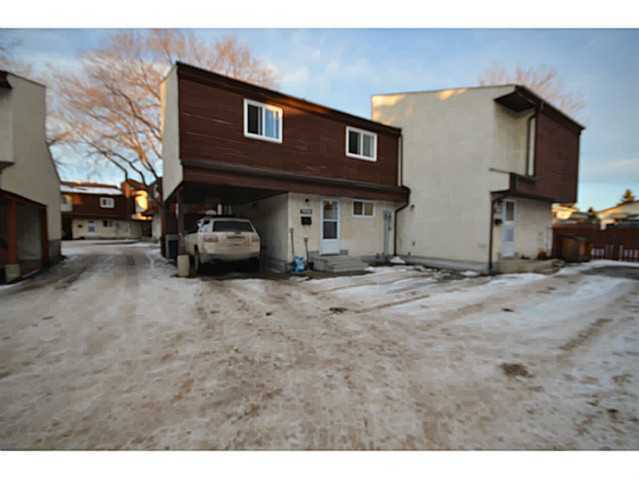 Edmonton home that has been inspected and now ready for sale. 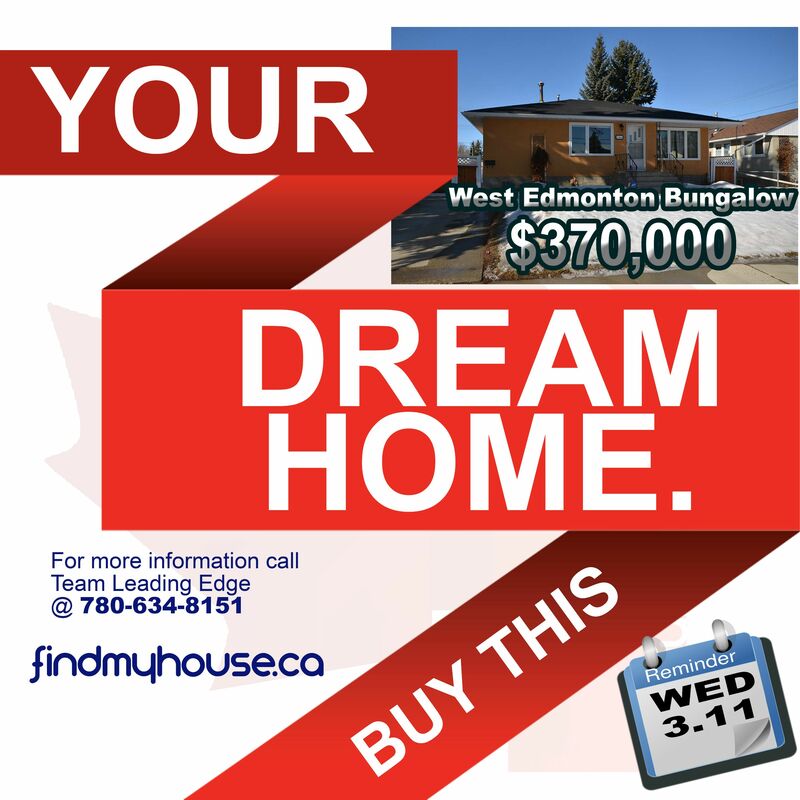 The city of Edmonton has officially entered the spring season and based on usual flow of things in the local real estate market, this is the time where home buyers end their hibernation and start shopping for that dream Edmonton house. The time is ticking. Though many said that the market have slowed down due to the current oil crisis, we at Team Leading Edge have seen quite the opposite. One of our associates just closed 3 deals this past week which indicates that home buyers are getting active-or that his just really good. Either way, I wrote this simple article to remind you that if you’re thinking of selling, you better get your home inspected right away. Friday, March 20th, 2015 at 9:31am. RUSH SALE! OWN THIS GREAT HOME TODAY! Only $214,900 with 3 bedrooms, 1.5 baths and 1,055 sq ft of beauty. The number to call: 780.634.8151 | Pick up the phone and call now! Saturday, March 14th, 2015 at 11:13am. GREAT CHANCE TO OWN A GREAT HOME! Happening tomorrow! 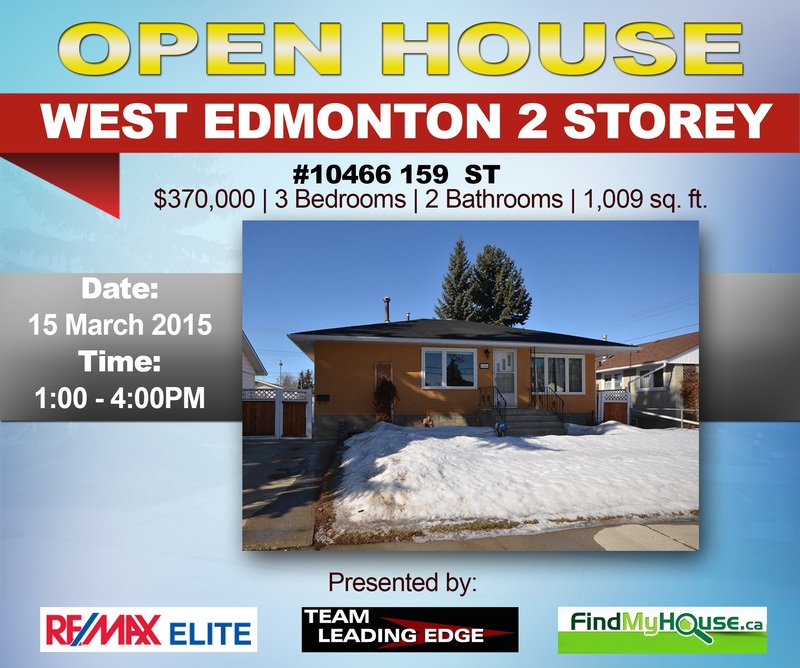 15 March at 10466 159 St, Edmonton, from 1:00pm to 4:00pm. 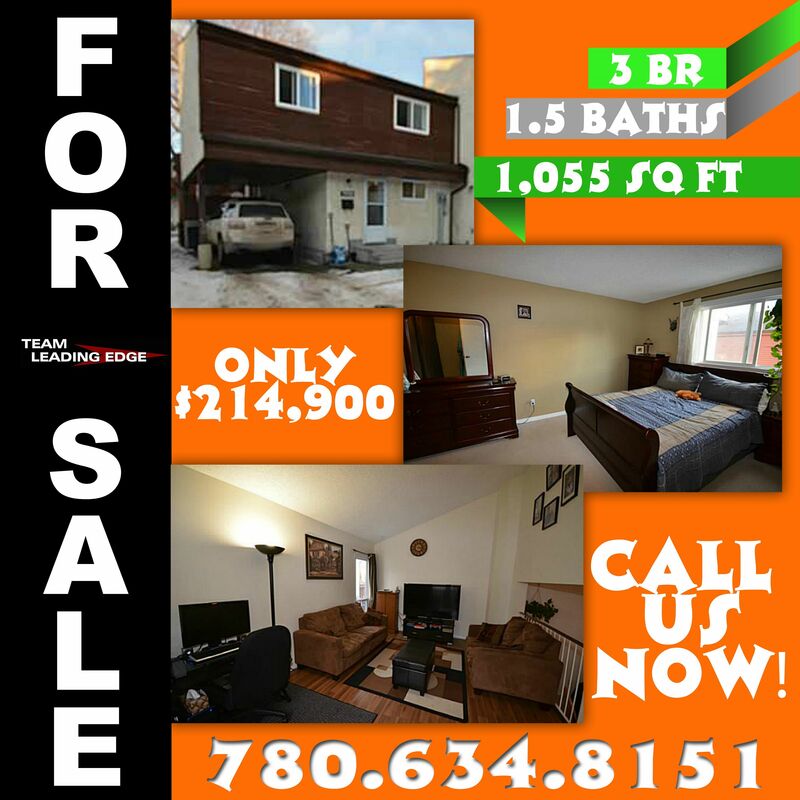 FOR SALE: West Edmonton Bungalow | $370,000 Only! Wednesday, March 11th, 2015 at 9:23am. This beautiful piece of real estate is waiting for you, only $370,000. Coming Soon on MLS for West Edmonton renovated bungalow with fully finished basement, heated oversized garage, and RV pad. Located close to schools, community centre, and swimming pool. With quick access to downtown and all amenities this one won't last long. Monday, March 9th, 2015 at 9:43am. Edmonton Ice dams are a typical issue in this city where normal snowfall happens. In the event that you claim an Edmonton home with poor top ventilation and/or a warm loft, you might as of now be managing ice dams. 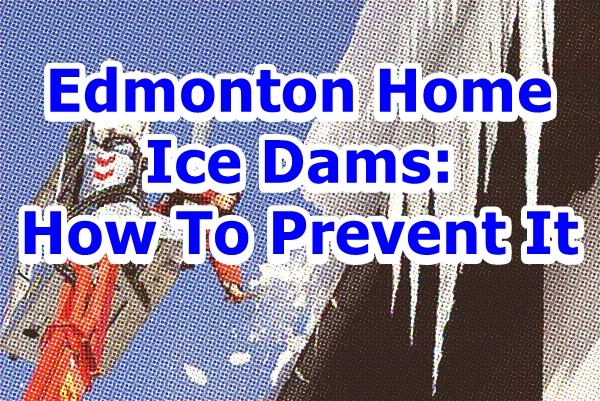 At the point when ice dams are not treated successfully, they can prompt significant issues with your drains, top, protection, drywall, paint and structure of the Edmonton home. They can likewise prompt mold infestations. At the end of the day, you ought to try your hardest to evacuate any current ice dams, and keep the future aggregation of ice for the long haul. Continue perusing and you will see the aide on the most proficient method to avoid and uproot ice dams! Saturday, March 7th, 2015 at 2:48am. 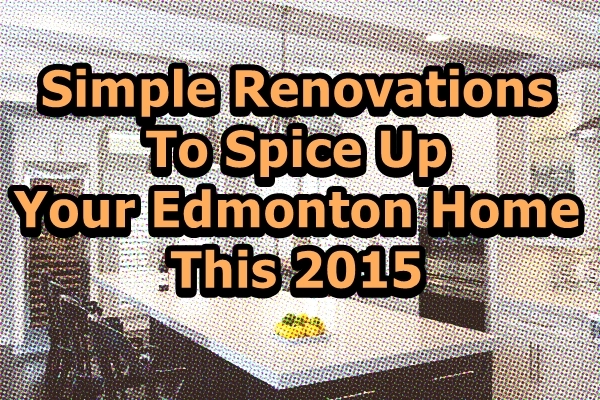 Need to spice up your Edmonton home yet aren't certain where to begin? We at Team Leading Edge have you covered! Today, we discuss some of the easy renovation activities you could do on the cheap! Also, don't forget to visit our new and improved Edmonton MLS listings later to get more inspiration flowing through your veins. Kitchen, salary suites, bathrooms, deck and installations — those five things are a practically ensure to provide for you an incredible rate of return.